SOUTHFIELD/LATHRUP VILLAGE — It could have been demolished. 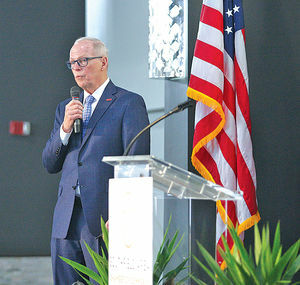 During the annual State of the City address March 20 at Best Western Premier Hotel on Telegraph Road, Southfield Mayor Ken Siver reminded the elected officials and community members in attendance that the room they were sitting in could easily have been imploded if it wasn’t for a recent redevelopment effort. Previously, the event had been held at the Westin Hotel-Southfield. The change in location highlights Southfield’s development efforts over the last few years, officials said. In August 2015, the Southfield City Council unanimously approved a plan from a New Zealand investment group for a Commercial Exemption Certificate to rehabilitate the Best Western, formerly the Holiday Inn Hotel.